Have you ever wondered…what is complementary and alternative medicine for cancer? Is it helpful or harmful – or is it more complicated than that? And how do you tell which is which? And, how do alternative medicine for cancer and complementary treatment differ from standard cancer care and Precision Oncology? CTOAM exists to support cancer patients around the globe to access the very best cancer care available, from anywhere in the world, right where you live. Understanding the science behind the many treatment options available to you – including Complementary and Alternative Medicine for cancer (CAM) – will help you to make choices that are best for your health, as well as your finances. Helping cancer patients and their families to be aware of all their options is crucial to CTOAM’s goal of saving lives and improving cancer care for everyone. Check out Issue 7 of the CTOAM newsletter to learn about Complementary and Alternative Medicine for cancer (aka CAM), including the potential risks. Do you want to have life-saving information delivered straight to your inbox? Sign up for our monthly newsletter! Are Complementary and Alternative Medicine for Cancer Safe? There’s a lot of confusion about the topic of alternative medicine and complementary treatment, especially in regards to cancer. 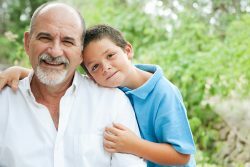 You might have already seen it pop up in the media, where it’s commonly referred to as CAM – an acronym that stands for Complementary and Alternative Treatment. Many people are unaware of the risks associated with CAM. They assume that a ‘natural’ solution must be better, or at least won’t harm them. But in fact, studies have shown that faith in alternative medicine can lead patients to stop their normal standard treatment, which in some cases (as with Apple co-founder Steve Jobs) can lead to early death. Further, while some complementary treatments may be harmless or even beneficial, others can actually harm your treatment. The topic is clearly more nuanced than it may first appear. Discover Why Precision Oncology is the BEST option! At CTOAM, we want to ensure that cancer patients everywhere understand the facts about ALL their cancer treatment options, including CAM. Now more than ever, knowledge is your number one weapon against cancer. Understanding the pros and cons of different treatment approaches will help empower you about your cancer treatment options. 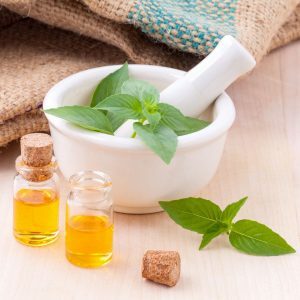 Alternative medicine refers to a product, practice, or system that exists outside mainstream medicine and is used instead of proven medical treatments. Alternative medicine is often unproven – as in, it has no scientific evidence to show that it helps to do what it claims to do. Complementary treatment, on the other hand, usually describes a product, practice, or system that is used alongside proven medical treatment. Many allopathic physicians (i.e. doctors who practice conventional medicine) support complementary treatment. 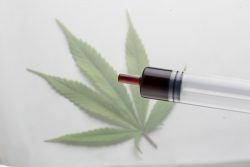 This is because complementary treatments often have some scientific data to back them up and, at least, have been shown not to interfere with the functioning of the prescribed treatment. Some complementary treatments that arescientifically proven include: exercise, strength training, and nutraceuticals. Complementary treatments are often brought up in the context of prevention and recovery. They are also often used during treatment to lessen side effects. Examples of unproven complementary cancer treatments include: hypnosis, aromatherapy, and acupuncture. While these are unlikely to harm the outcome of treatment, the science isn’t there to say that for certain they will help. Patients should be able to tell the difference between complementary and alternative treatments, and to understand their potential consequences, before making the choice to use these options. Understanding More About Alternative Medicine – Is it a Good Alternative? The most common reasons for cancer patients to seek alternative medicine is a desire to avoid standard cancer treatment like chemotherapy and radiation. However, as stated above, alternative medicine is called alternative medicine, not because it’s an ‘alternative’ to what your doctor has recommended, but because it remains unproven. Therefore, if a patient avoids standard treatment in favour of alternative medicine, it can often be harmful and may even cause early death in some cases (as this JAMA Oncology study shows). Before choosing to forgo a scientifically proven treatment approach in favour of alternative medicine, talk to your treatment team and make sure you understand the potential risks. And hold yourself accountable to ensure that you have done your research and that the alternative option you are considering has good science behind it. One obvious example of this is the very popular alternative medicine concept of ‘alkalinity’. 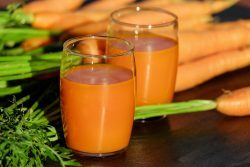 Alkalinity is a confused philosophy suggesting that you can, through diet and supplementation increase the alkalinity in your body (your pH levels), which would then – so the theory goes – provide your immune system the ability to better fend off disease and create such an incredibly healthy inner environment that cancer cells can’t grow. In reality, your body (and every other human body) must, and does, maintain a very stable pH because even a slight change up or down leads to death – no ifs ands or buts about it. The science is clear that this is the case. And therefore, no matter how many ‘alkaline raising’ products you take, your body not only doesn’t need them (again, you’d be dead if it did), but can’t and won’t utilize them as you’re imagining. There are literally thousands of alternative treatments that similarly provide no benefit and are based on a confused understanding of the human body and of science. Billions are spent every year by people seeking alternative treatments; it’s a huge waste of funds and, sadly, it’s also often a waste of very precious time. But fortunately, with a little knowledge about how to tell which treatments have evidence and which do not, you can avoid these pitfalls and make the best use of all the treatment options available to you. 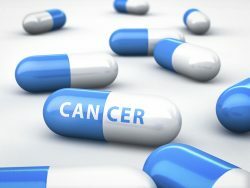 If you are considering an alternative treatment because you want to avoid standard chemotherapy and/or radiation, and are hoping to avoid the associated side effects, then Precision Oncology offers a scientifically proven option that is shown to produce higher survival rates, with fewer & less severe side effects than standard treatment. If you’d like to learn more, please reach out anytime. Understanding More About Complementary Treatment – What is Proven to Work? The most common reasons for cancer patients to seek complementary treatments are a) to relieve side effects associated with standard cancer treatment; and/or b) to augment the efficacy of the cancer treatment. There are many different types of complementary treatments. Some are scientifically proven to enhance cancer treatment or relieve side effects. Others have not been studied at all, and so we have no way to tell if they are harmful or helpful. 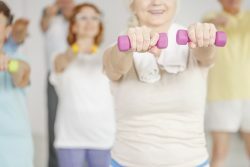 Exercise, strength training, and nutraceuticals are examples of complementary treatments that have been extensively studied and proven to be beneficial. CTOAM only promotes complementary treatments that have been scientifically proven to benefit cancer patients. It’s also important to understand that a patient’s unique genetic mutations will determine how the complementary treatment should be used. For example, in the case of nutraceuticals, what works for one patient could very well cause harm in another. Therefore, genetic testing needs to be done before any complementary treatment plans can be recommended. Guesswork should not be an option when you are dealing with cancer. If you are considering using a complementary treatment (or any type of CAM treatment), first determine whether it’s been scientifically proven. Otherwise, it might end up causing you more harm than good. Do as much research as you can from different sources. And always consult with your treatment team first. The term standard cancer care refers to mainstream medicine for cancer. Examples of this are chemotherapy, radiation, as well as the tests that are offered in public hospitals, such as ultrasound and CT scan. Unfortunately, these tests and treatments are based on an outdated approach to cancer treatment. They were once state of the art, and truly the best we could do, but that’s simply not the case anymore. In fact, in the past few decades, scientists have discovered much more about what causes cancer, and have found new, more effective ways to treat it by using Precision Medicine and oncogenomics. However, standard treatment in many countries, including Canada, still revolves around the old approach of treating cancer as a one-size-fits-all disease. Ultrasounds and CT both have a high inaccuracy rate for identifying and accurately locating cancer tumours compared to the much more advanced PET/CT scan. Due to inaccurate testing, plus zero information on the genetics of a person’s cancer, treatment in standard care is largely based on informed guesswork, which leads to delays in diagnosis – and, ultimately, to a lower treatment success rate. Further, standard care uses outdated treatments, such as standard chemotherapy. Because cancer cells are rapidly reproducing, standard chemo has been designed to kill all rapidly reproducing cells in the body. However, this means that your healthy stem cells are killed too, which is why standard chemo has such strong side effects, such as nausea and hair loss among many others. Because it kills your healthy cells, standard chemo can also can lead to further complications and increase the chance of cancer recurrence. Simply put, standard cancer care is notbased on the latest medical advancements in cancer research. Read more about the failures of standard cancer care and, most importantly, what can be done to overcome them. Precision Oncology is the next phase in the evolution of scientifically proven cancer care. It is in the process of being adopted into mainstream cancer care throughout the world. In fact, countries like the US and the UK are already making genetic testing and targeted therapies a part of standard cancer care, with excellent outcomes. In Canada, we’re a little slower on the uptake. That’s why companies like CTOAM exist – to provide a bridge between what is now possible with Precision Oncology and patients who need it now. Our mission is to ensure that Precision Oncology becomes completely integrated into Canada’s public healthcare system. Until then, we help patients ensure they get the best possible treatment, right here in Canada. What, Exactly, IS Precision Oncology? Scientific researchers, genetics specialists, and cancer experts all agree: personalized medicine IS the future of healthcare. At the core of precision cancer medicine is something called genomics. Genomics is based on treating the individual person rather than the generalized disease. Cancer is a genetic disease. The most advanced medical science shows that every person’s cancer is comprised of a unique combination of genetically inherited gene mutations and cell mutations that have arisen as a result of lifestyle choices and/or environmental factors. In other words, your cancer is truly unique to you. There are now advanced diagnostics that allow us to discover exactly what is causing your cancer to grow. There are also now literally thousands of targeted cancer therapy options – drugs that have been designed to only attack the mutated cells. Because these targeted drugs leave your healthy cells alone, they produce higher survival rates than standard chemotherapy and radiation. Precision Oncology actually solves many of the problems that people are trying to solve by way of CAM (Complementary and Alternative Medicine). For example, Precision Oncology uses new and advanced forms of therapies called targeted treatments, which have far fewer side effects and much less harmful to the body. Targeted therapies only kill (i.e. target) the body’s cancerous cells, and not the healthy stem cells. Here at CTOAM, we are 100% evidence-based driven. Every treatment recommendation that CTOAM makes is backed by the latest peer-reviewed, scientific research. And we always show you and your doctors the data to prove it. The members of CTOAM’s cancer care team are experts in, and advocates of, Precision Medicine – an advanced, science-based approach to cancer care also known as Precision Oncology. Other terms for Precision Oncology include: Onco-Genomics, Individualized Cancer Medicine, and Personalized Cancer Treatment, depending on whom you talk to. Bringing It All Together: What Are Your Best Treatment Options? Now you have a good idea of what CAM (Complementary and Alternative Medicine) is and how to use it wisely. And you also know what Precision Oncology is all about and why it is proven to help cancer patients live longer, with a higher quality of life than standard cancer treatment. If you have any questions or concerns about your cancer care, reach out anytime via phone or email. We’re happy to answer all of your cancer-related questions and help you move forward with your cancer care with a greater sense of peace. David is a 66-year-old male with superficial spreading melanoma (SSM). Based on a recent biopsy, his cancer was graded as pT3a stage of progression. David’s oncologist had prescribed him the standard treatment for this diagnosis: surgical excision of sentinel (closest to the tumour) lymph nodes; and if biopsies of the removed lymph nodes indicated cancer, then adjuvant IFNα/IL-2 therapy would be introduced. However, David wanted to know for certain that this was the best treatment plan for him. So he reached out to CTOAM for a second opinion. Download Our Free Ebook on Precision Oncology! What’s inside our new Precision Oncology ebook? Everything you need to know about the newest science-based approaches to cancer treatment, testing, and diagnostics. With cancer, time is of the essence. Discover how you can live longer with Precision Oncology today: get a No Risk Second Opinion consultation from our cancer experts, free of charge. You have nothing to lose and everything to gain. → Book Your Free Consultation with our Cancer Experts Today! Sign up for the CTOAM newsletter to stay up-to-date on all the latest advancements in cancer treatment, diagnostics, and support.